Our friendly and knowledgeable team are here to inspire and help you to get active, learn, socialise and exercise, regardless of your age or sporting ability. Whether you are a competent sports person, a family looking to get fit together or just someone looking to have fun, seek recovery from illness or learn a new skill, we will have something for you. We are currently experiencing technical issues with our online booking system. We are working with our software provider to have it back up and running as soon as possible. 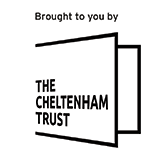 If you wish to book a class or have a general enquiry, please contact us by phone 01242 528 764 or by email leisure@cheltenhamtrust.org.uk.